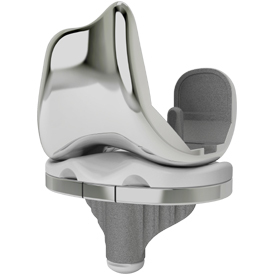 The Physica KR (Kinematic Retaining) and Physica PS (Posterior Stabilized) platforms are designed to meet the needs of today’s patients and physicians. The Physica KR (Kinematic Retaining) and Physica PS (Posterior Stabilized) platforms are designed to meet the needs of today’s patients and physicians. By combining accurate sizing and outstanding kinematics, the Physica system wants to fulfil patients’ expectations for today’s lifestyle recovery, providing surgeons with a cutting edge solution and instrument set.